Real estate professionals get that consumers, by and large, ignore housing statistics and the market until they become involved in the purchase or sale of a home. It&apos;s only natural then that what impacts the market is a bit of a mystery to many. What determines a buyers&apos; or sellers&apos; market? What factors influence home prices? 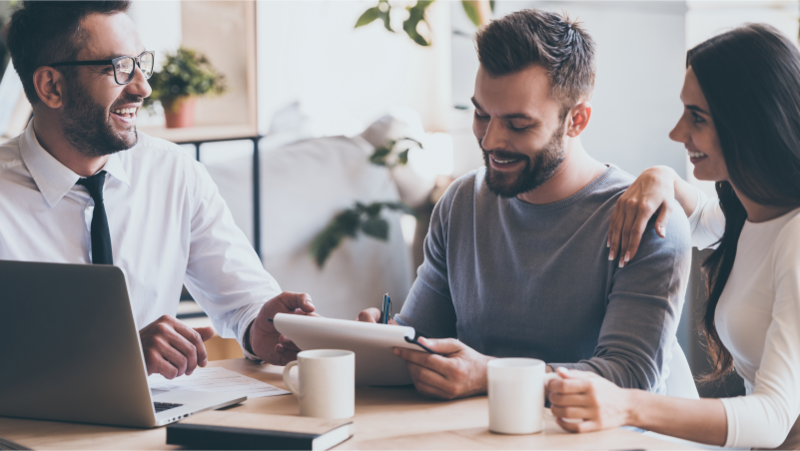 Of course the answers to these questions and more may be multi-faceted, but it&apos;s important to pay attention to them if you hope to keep more of your money when it&apos;s time to buy or sell real estate. Believe it or not, even in what seems like the gloomiest of real estate markets, there will be a glimmer of light for some. It certainly is no secret that obtaining a lower interest rate for a mortgage typically allows for a lower payment. Naturally then, low interest rates make home-buying an attractive venture—and, even whispers of a rate hike can spur folks to get out into the market. And, rise they did, throughout the following year. In fact, late in 2016, mortgage interest rates rose eight times in nine weeks, according to bankrate.com. Sounds rather gloomy until one recognizes that, post-hike, rates were still at historic lows. The bottom line is that if you&apos;re in the market for a home and interest rates decrease or remain attractively low, it&apos;s time to get excited about the housing market. The current economy is a key factor affecting the real estate market. “Broadly speaking, when the economy is sluggish, so is real estate,” claims Joseph Nguyen at Investopedia. Rather than look at the glass half-full, however, we choose to take the opposite tack—when the economy is humming along, the housing market is at its most attractive. When job growth is robust, consumer confidence rises and we&apos;re more apt to spend money on high-ticket items, such as cars, appliances, vacations and, yes, homes. There&apos;s an old saying in the real estate industry that counsels homeowners that the best time to sell a home is when you need to sell your home. Yes, we understand that isn&apos;t very helpful. If you&apos;re one of the fortunate who has no compelling reason to sell (such as a job offer in a different town or divorce), you have the luxury of choosing when to put the home on the market. Get excited if real estate professionals mention the words “sellers&apos; market.” This is a period in which there are few homes for sale but buyer demand is high. During sellers&apos; markets prices typically increase rapidly and homes sell at or above list price. One of the biggest mistakes we see in sellers&apos; markets is the homeowner who feels that the market itself will bring top dollar for the home, regardless of condition. Be aware that it&apos;s the homes in good condition that sell the quickest and for the most amount of money. Regardless if market conditions favor sellers, if your home isn&apos;t in move-in condition, it may be passed over by home buyers. A buyers&apos; market—when there is a large selection of homes for sale and few other buyers in the market—is a great time to purchase a home. Unlike a sellers&apos; market, prices aren&apos;t rapidly escalating and you won&apos;t be competing against a slew of other buyers. These markets are more relaxed so homebuyers can take their time deciding. In a sellers&apos; market, however, it&apos;s more important than ever to have all your ducks in a row before making an offer on a property. Ensure you know exactly how much you can spend and that you've obtained a preapproval letter from your lender. Make your offer stand out from others by keeping it lean and mean, with the shortest time periods for contingencies as possible. Finally, come in with your highest and best offer. A sellers&apos; market moves too quickly to assume the homeowner will negotiate over price. While the type of market may determine when to jump in, as mentioned earlier, interest rates can also cause excitement in the housing market. Low rates and relaxed lending guidelines, such as we saw in 2015 and 2016, presented a prime opportunity for many would-be buyers who previously couldn&apos;t afford to purchase. Lower mortgage rates mean a lower monthly payment, which means you have more purchasing power, and that additional power can "mean the difference between buying a 2-bedroom home versus a 3-bedroom one; between buying a home with large closets versus small closets; and, between buying an upgraded home versus a dated one," according to Dan Green at The Mortgage Reports. Regardless of the media&apos;s perception of the housing market, there is always a mix of good and bad news, depending on whether you are in the market to buy or to sell. Arm yourself with a professional real estate agent who can supply you with current and local market information (too often what you read in the news is stale and based on nationwide statistics), follow his or her advice and buying or selling a home in any market will be an exciting process.